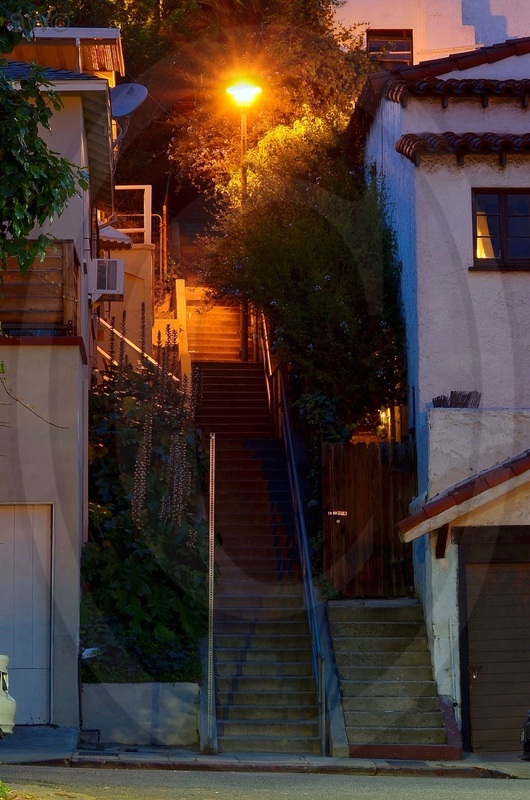 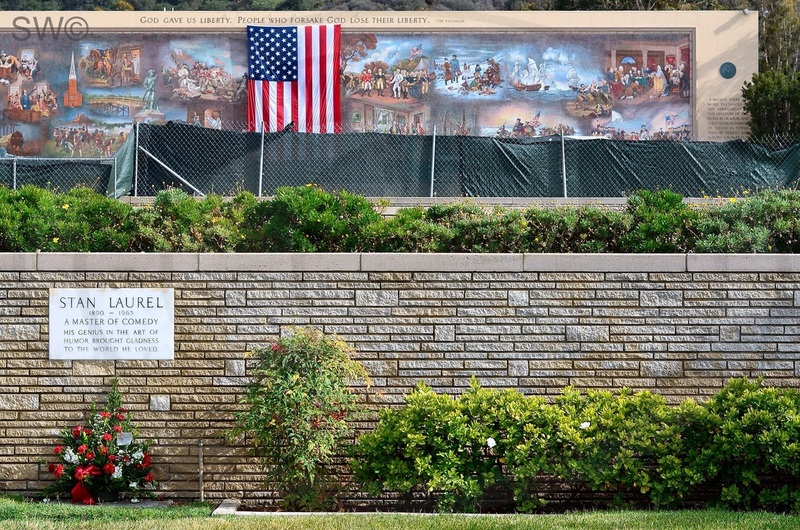 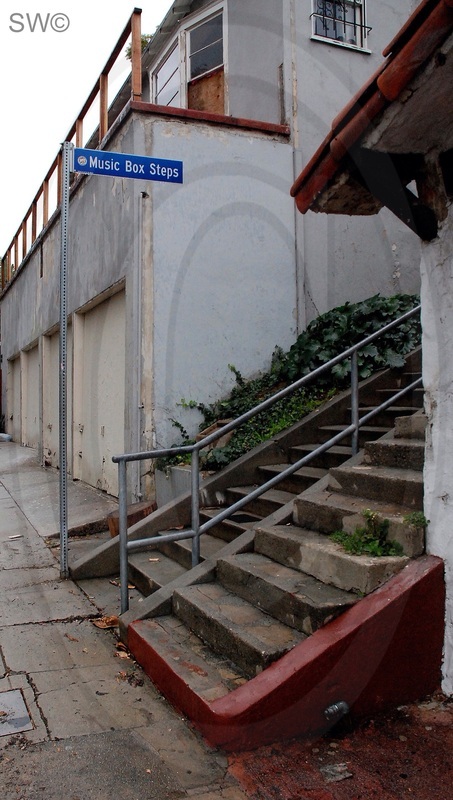 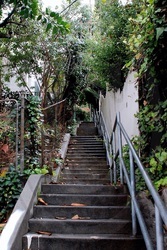 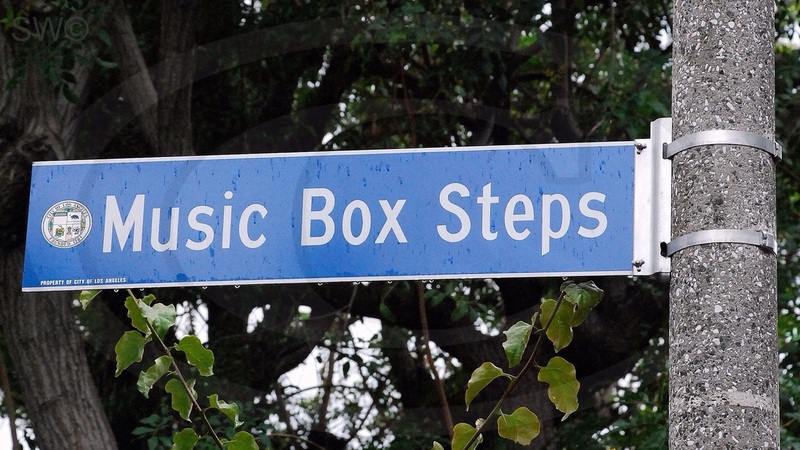 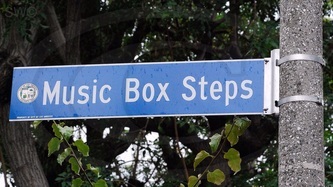 STEPS that are in Silverlake. This is where they filmed the academy award winning short "The Music Box" in 1932. The plot being they deliver a piano up a huge flight of steps. 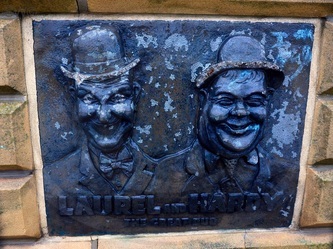 This film was a remake of "Hats Off" which is the Holy Grail of lost Laurel & Hardy films. 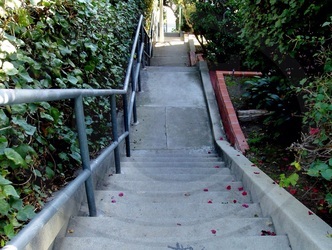 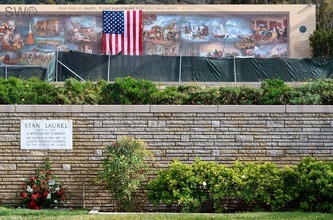 Boulevard. 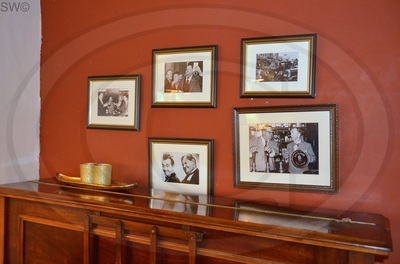 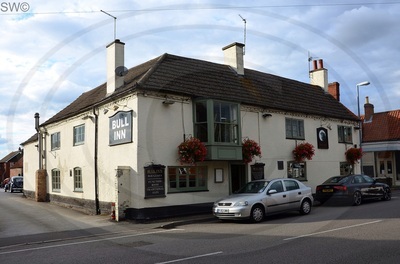 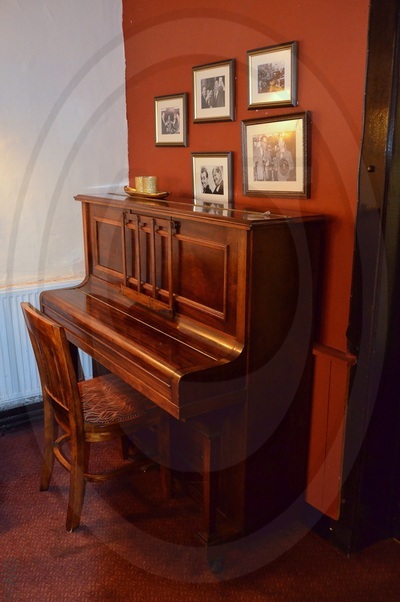 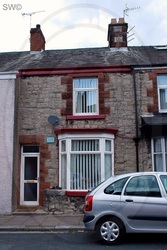 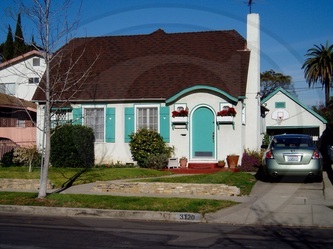 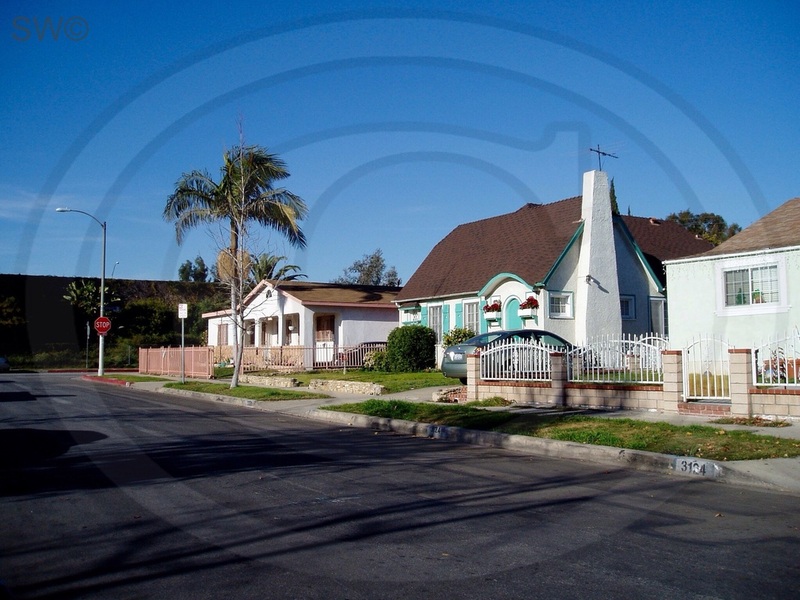 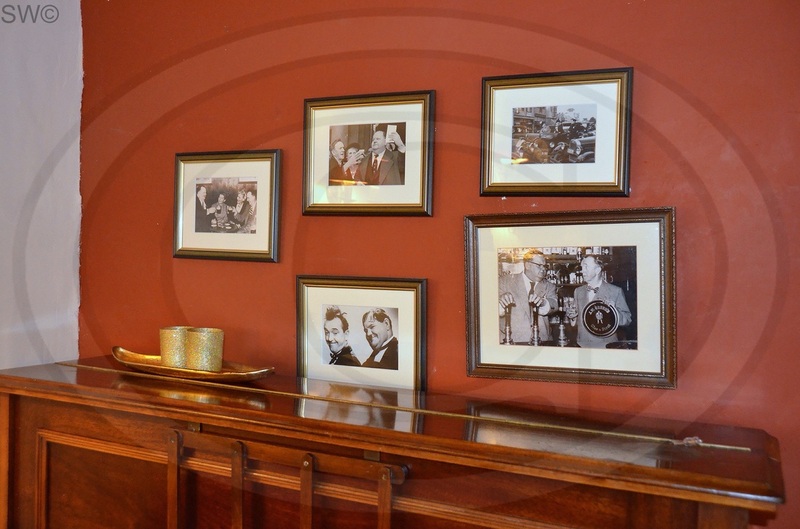 I took a couple of photos there and it is incredible to see that the house used in the filming is relatively untouched. 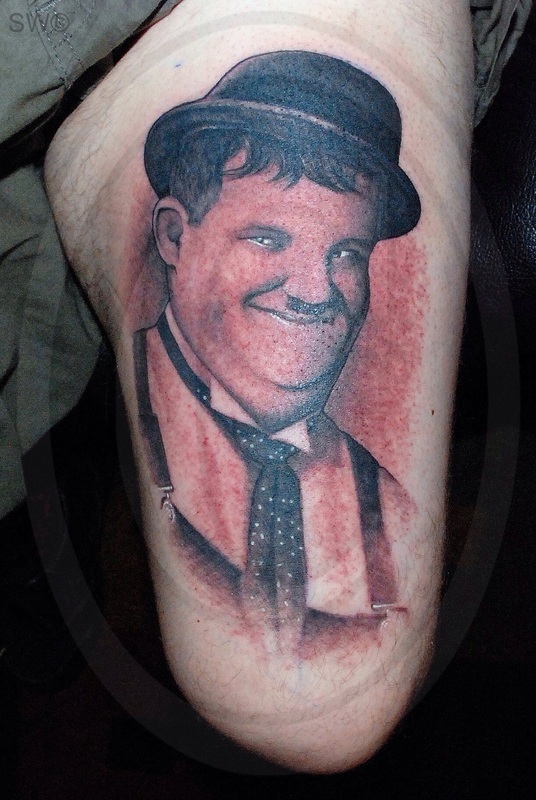 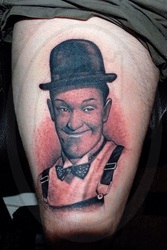 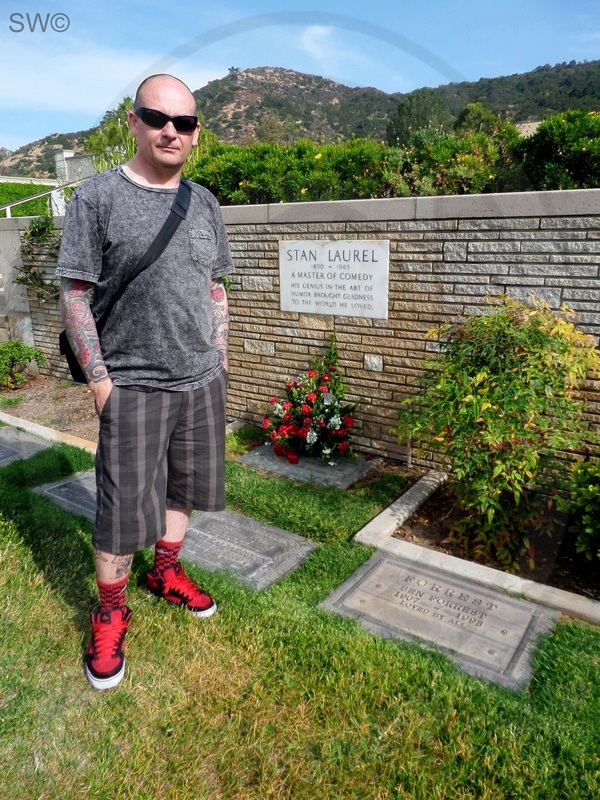 In 2010 i managed to get Kat Von D the tattoo artist from LA to ink the faces of Laurel & Hardy onto my legs. 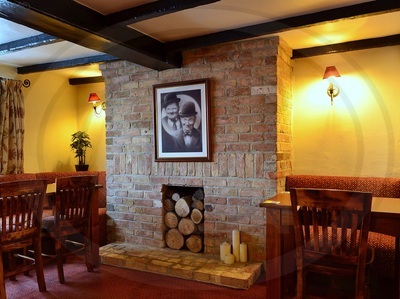 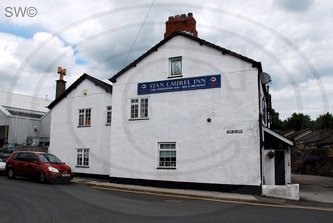 She is well renowned for her portrait work and she did an amazing job. 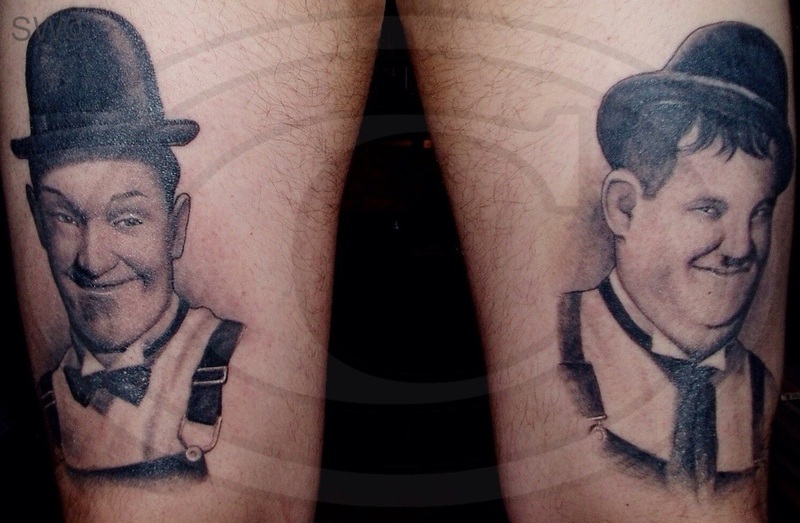 Each tattoo only took 75 minutes. 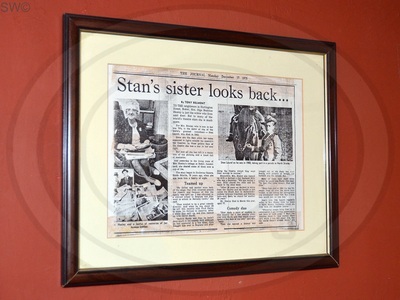 Superfast talented artist and a very charming lady. 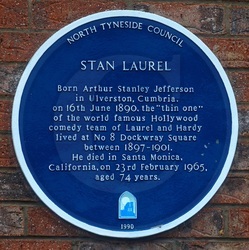 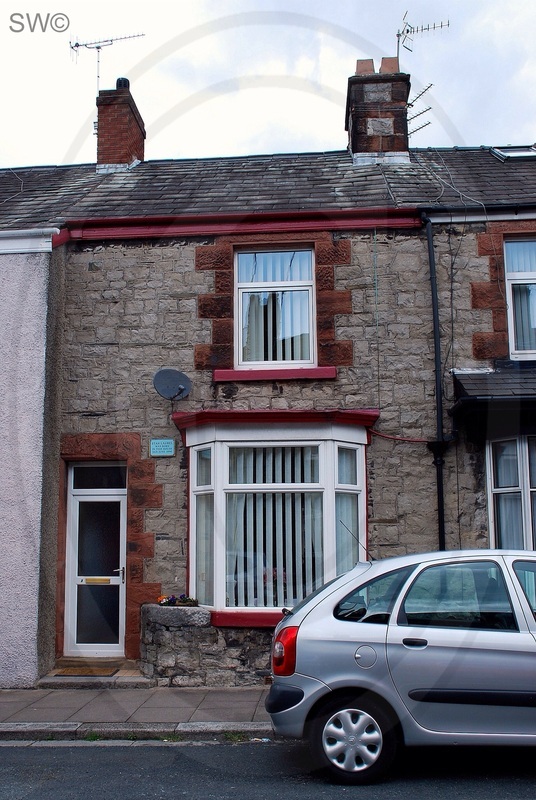 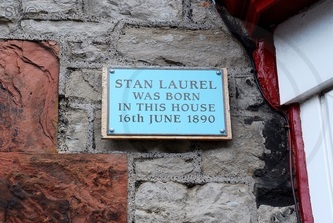 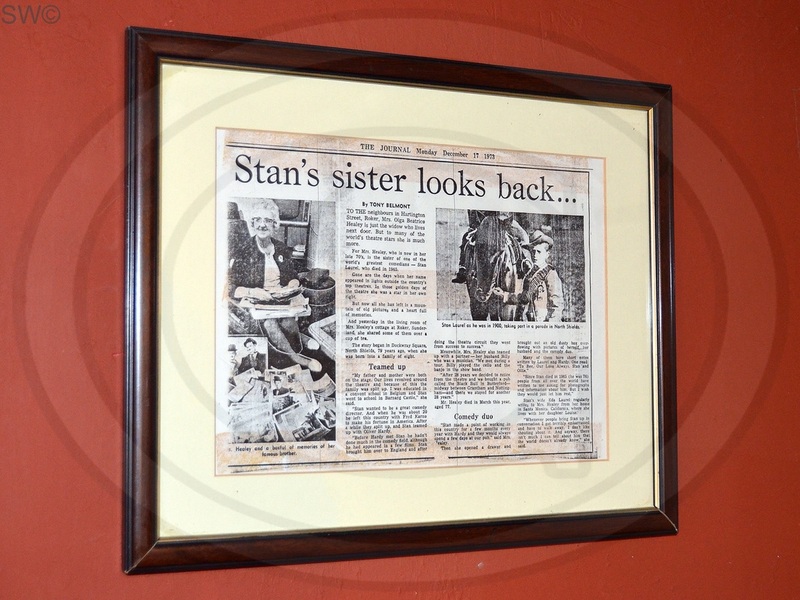 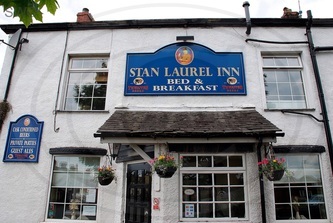 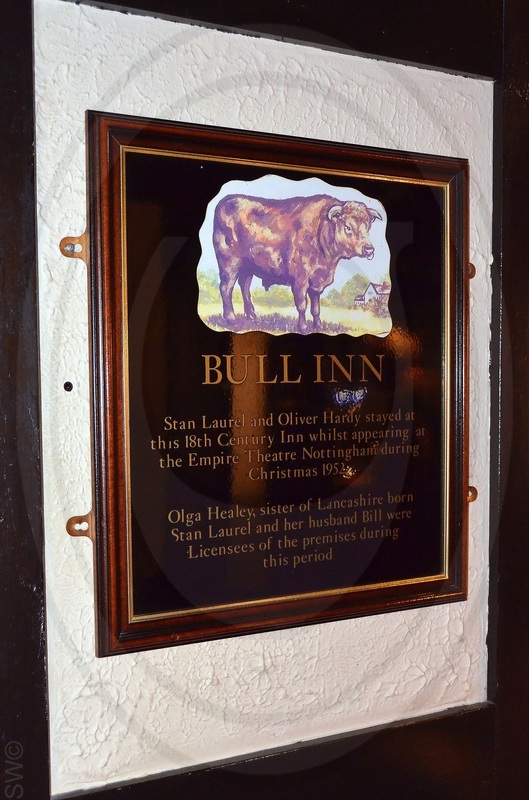 Stan was born Arthur Stanley Jefferson in Ulverston's Argyll Street on 16th June 1890 and remained there until he moved to North Shields, Tyneside, at the age of seven. He died 23 February 1965. 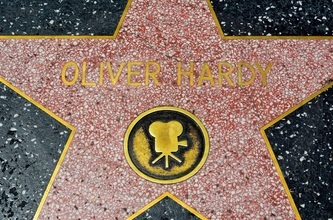 Oliver was born Norvell Hardy in Harlem, Georgia on January 18 1892. 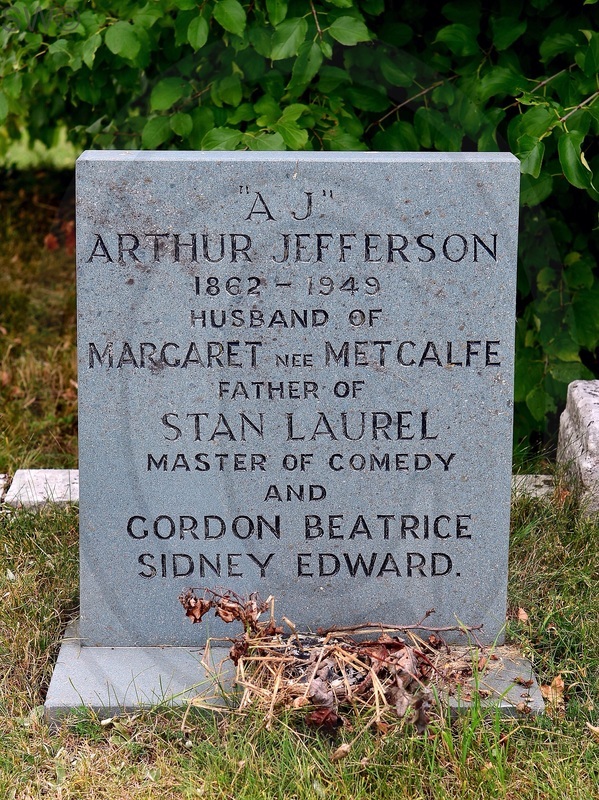 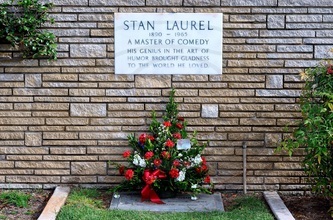 He died August 7 1957. 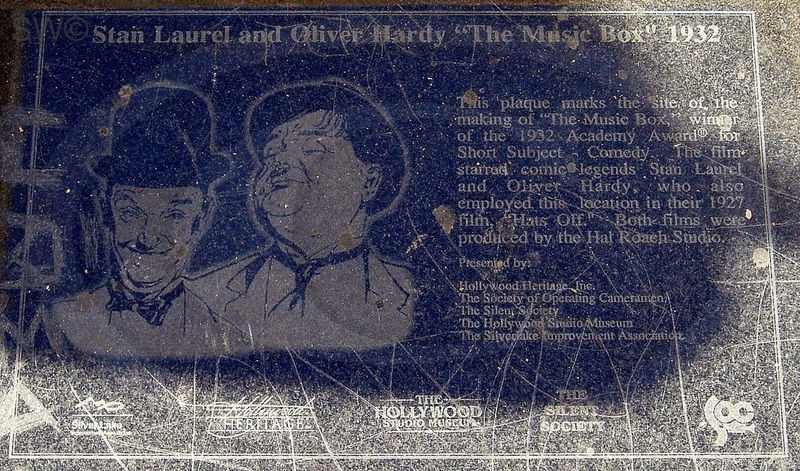 Stan and Ollie did work together briefly in 1917 but it took 10 years before they teamed up into the duo everybody knows. 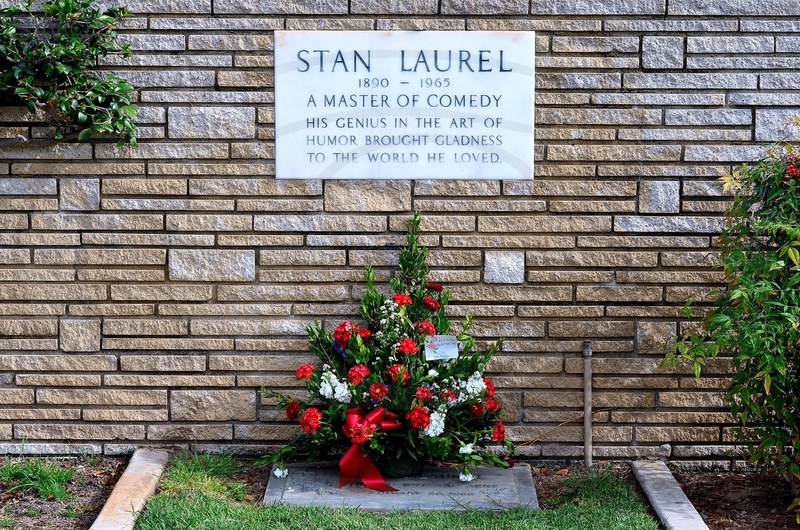 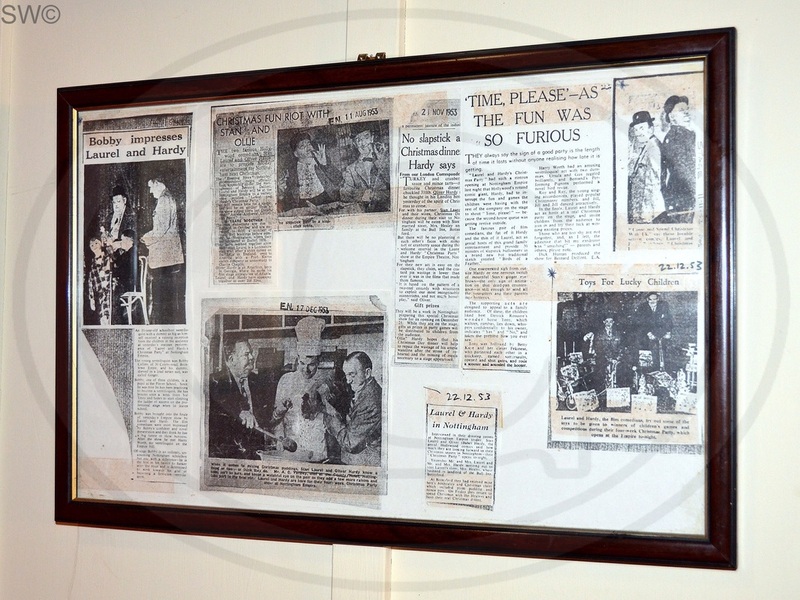 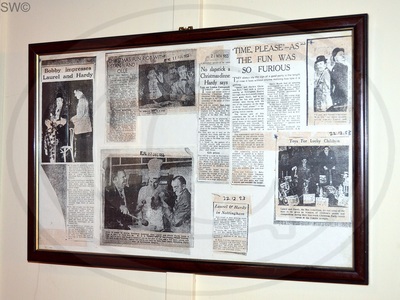 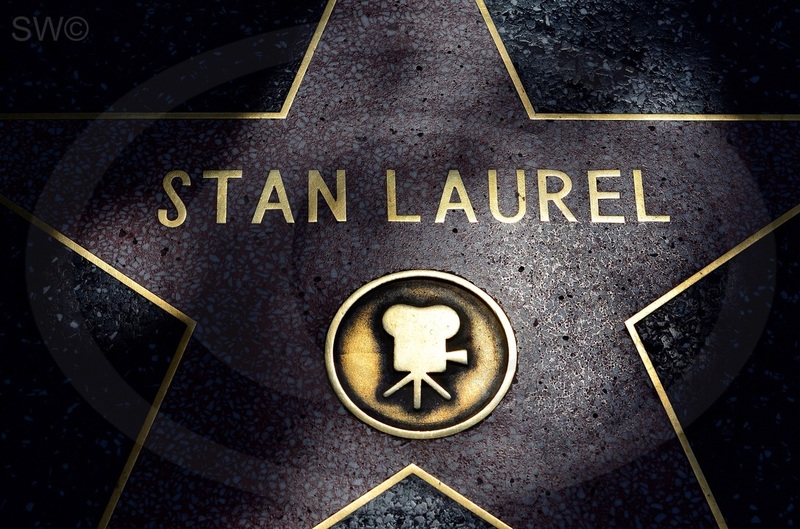 Stan was honoured with a Lifetime Achievement Award at the Oscars in 1961. 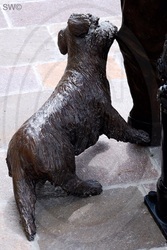 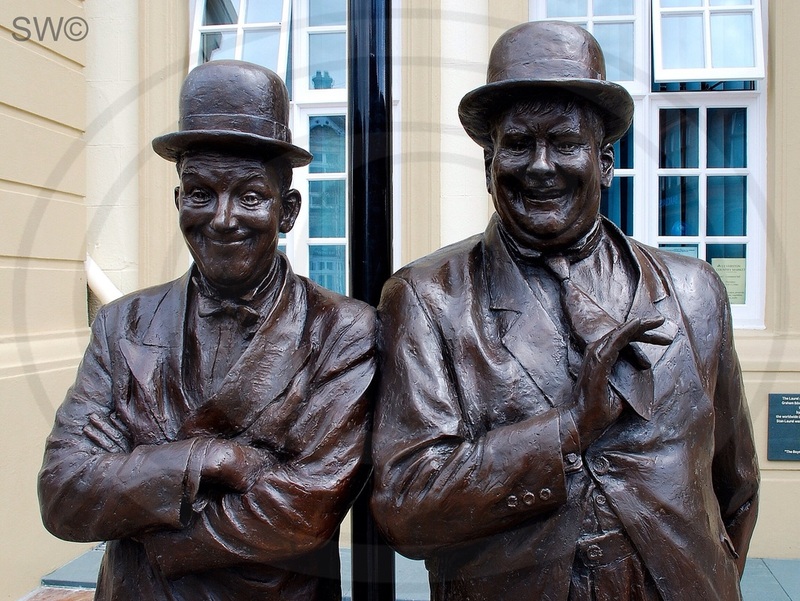 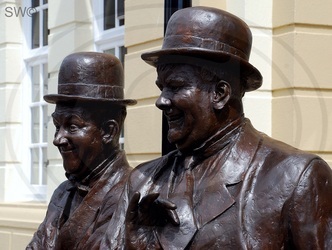 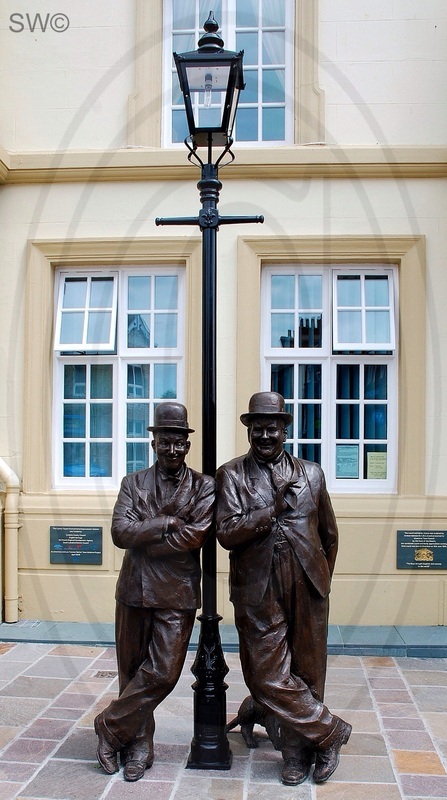 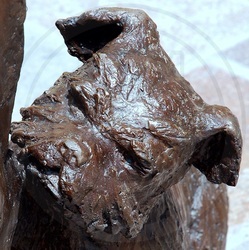 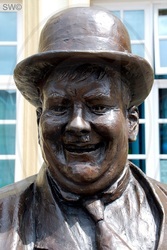 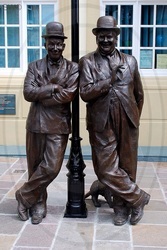 A bronze statue immortalising the comedy genius of them was unveiled on Sunday April 19th 2009 in the Cumbrian town of Ulverston. 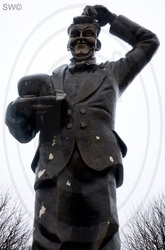 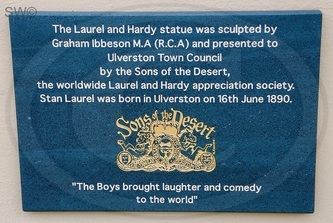 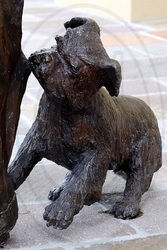 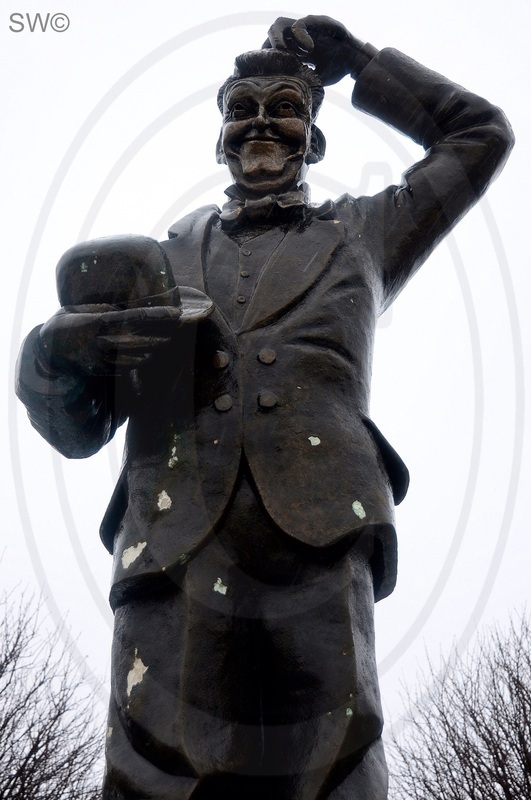 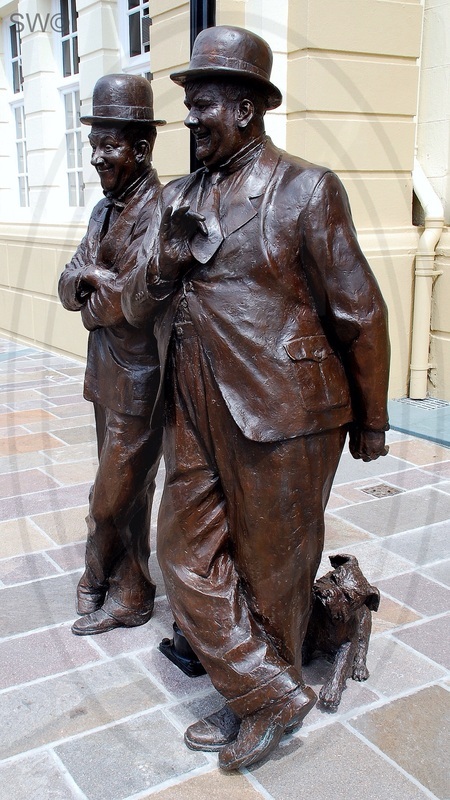 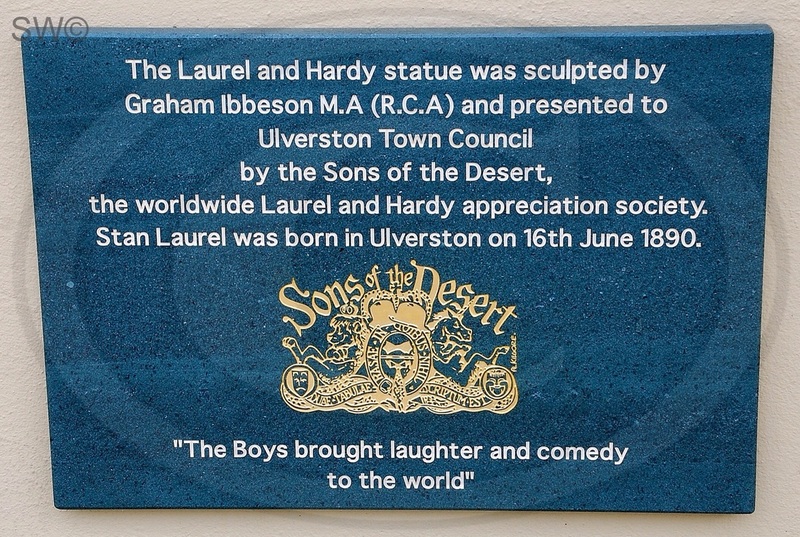 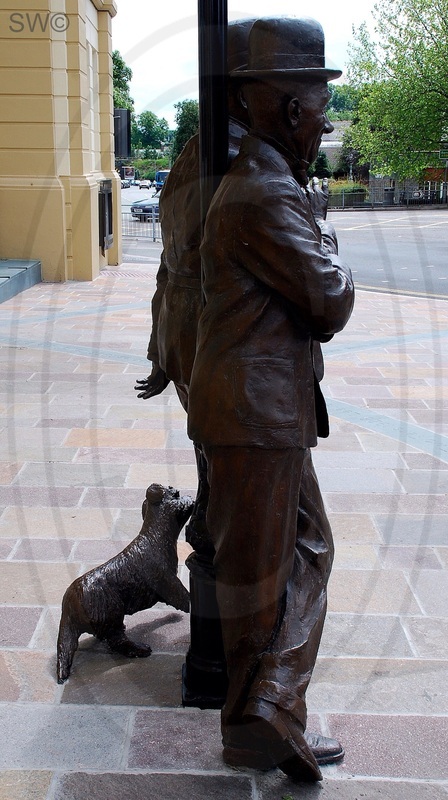 The SONS OF THE DESERT appreciation society spent 10 years raising £60,000 for the sculpture which was placed outside the Coronation Hall theatre.The statue was designed and created by Graham Ibbeson who is also known for his work on the statue of Eric Morecambe. 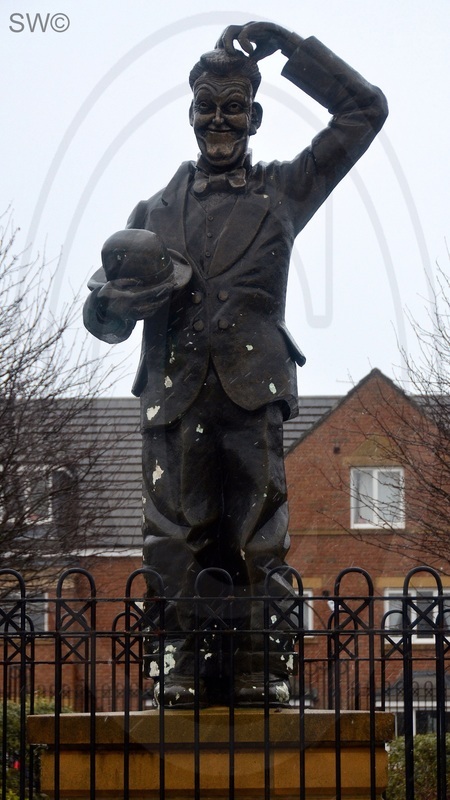 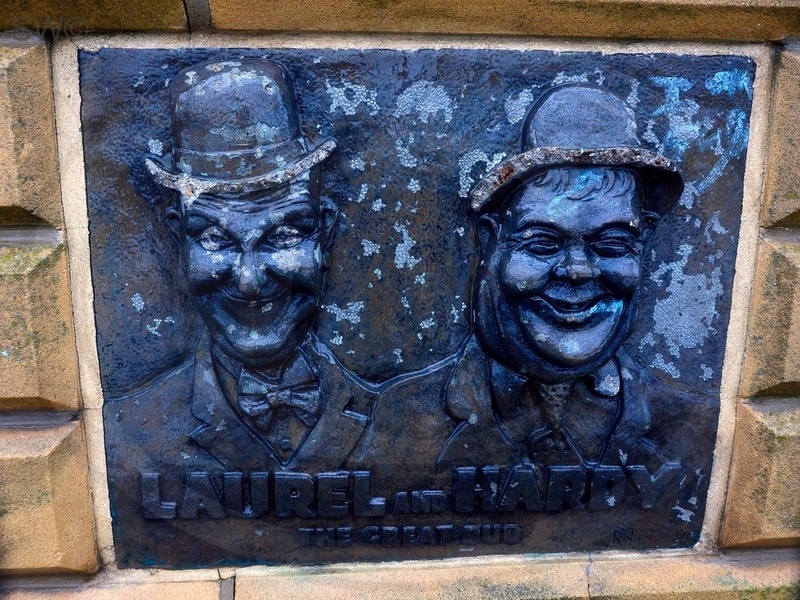 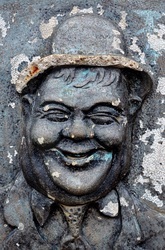 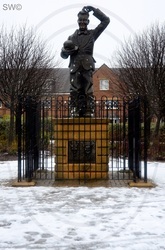 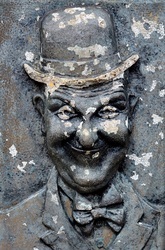 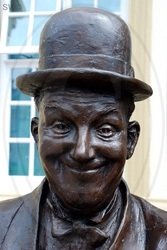 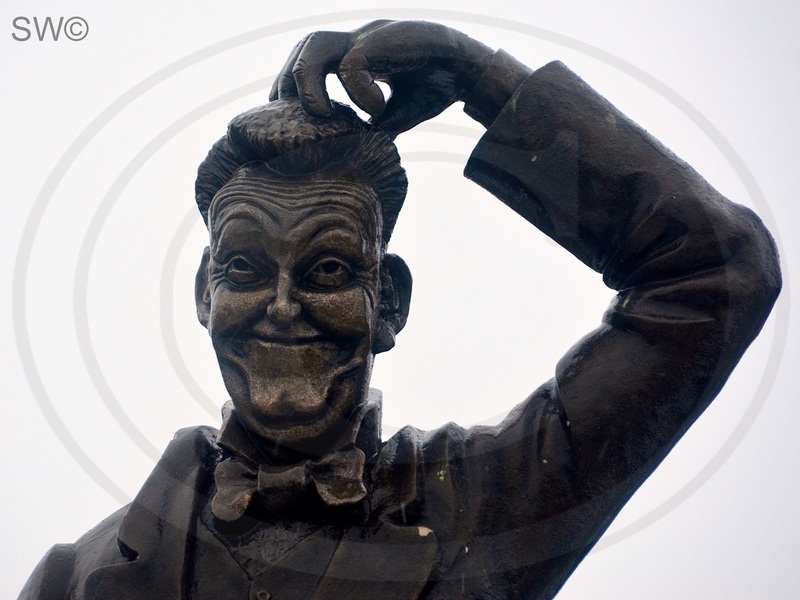 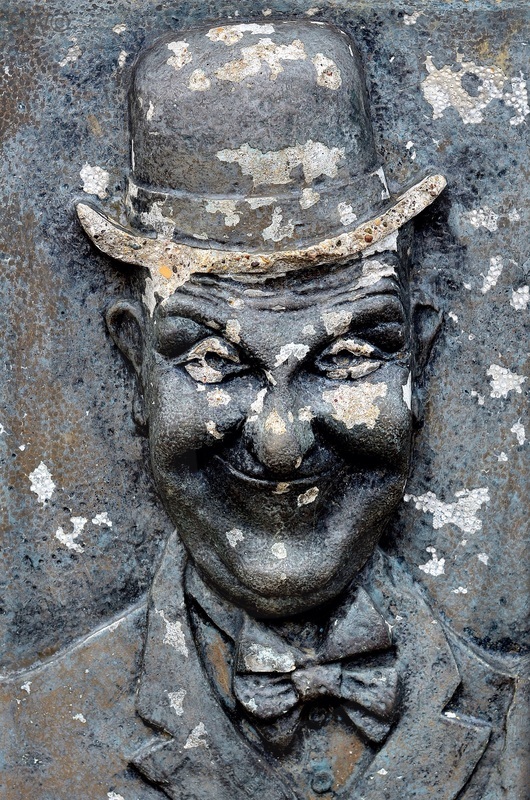 South Shields artist Bob Olley has sculpted 2 Stan Laurel statues. 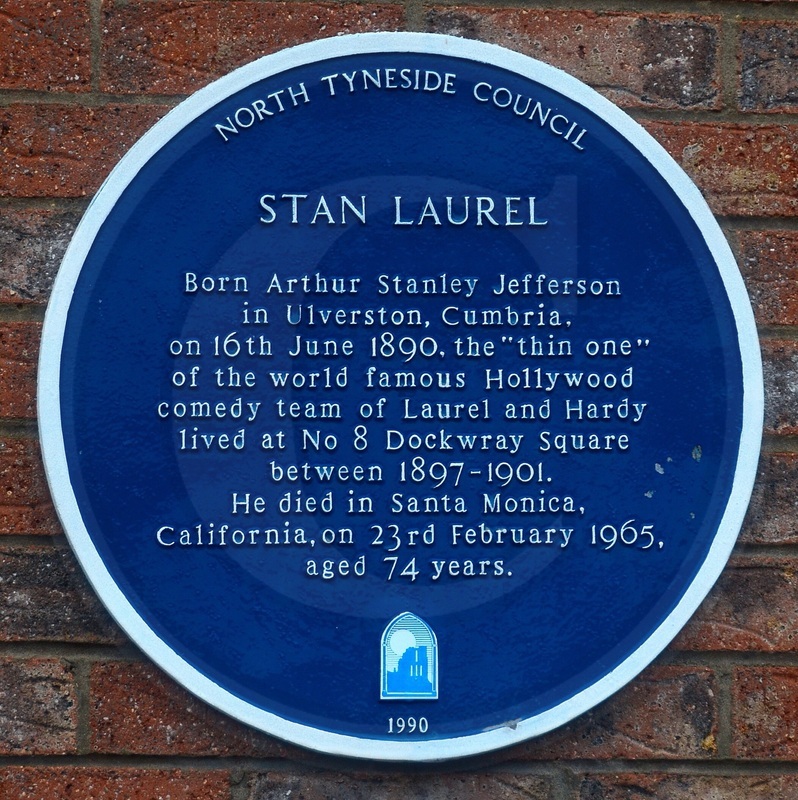 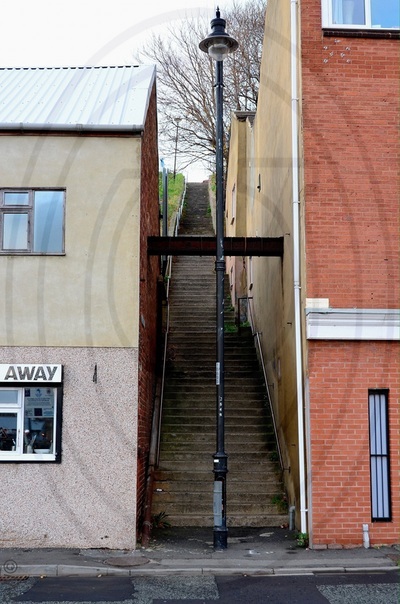 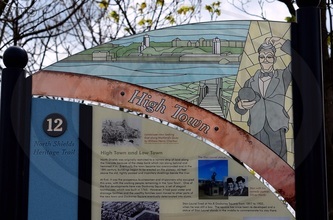 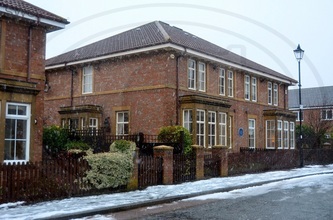 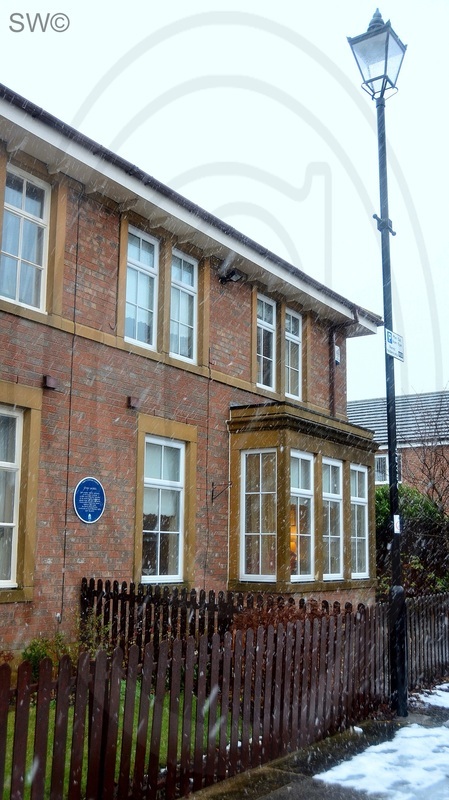 One is in Dockwray Square, North Shields where Stan lived between 1897-1901 and the other is in Bishop Auckland, where Stan went to school, on the site of the now demolished Eden Theatre which Stan's father (AJ Jefferson) managed.